A wonderful antique fairground dartboard. A superb folky dart board, the (deliberately!) 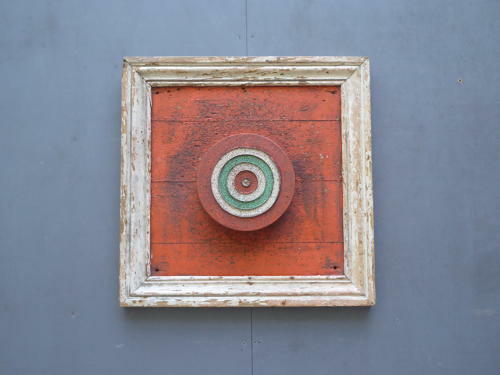 small dartboard mounted on thick pine board which is finished with its original frame. The colour scheme, worn paintwork & exceptional patination caused by thousands of darts make this a fantastic one-off & a real work of art! Wear commensurate with age, unrestored, great original condition overall.